I’m having a very stressful week this week so far; my schedule is jam-packed and there are so many things that have to be accomplished. However; on the bright side I have lots of gigs to check out this week. I am going to see the Dead Weather tomorrow at the Sound Academy and going to another gig on this Friday where my friend EunJi is playing the violin as a support member of a band, P.M.S at the El Mocambo. The band will take the stage at 11pm, so come check it out and say hi to your Music Psychos – Bryen and I will be there for sure! As you can see; my plate is pretty full. I have a great tip to keep a smile on your face - my best stress freeing solution is either going to a kickboxing class or blasting some music. After a day like today, I turn on my stereo and listen to funky music at home. 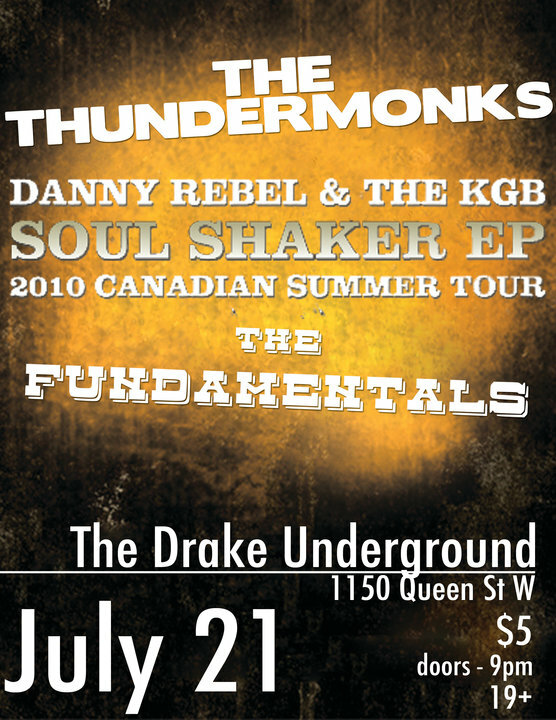 Perfect for Summer weather, happy and up-tempo ska tunes from TheSlackers or Westbound Train will lift off some burdens from my shoulders. I dance around like a penguin in my little apartment, making sure no one is watching! (which is damn important!) Everyone does it sometimes right? It's like Cameron Dias from the movie, the Holiday, when she dances to the Killer's beloved tune, "Mr. Brightside". If you are digging the summer weather and love ska/funk tunes, I have an awesome band to share! 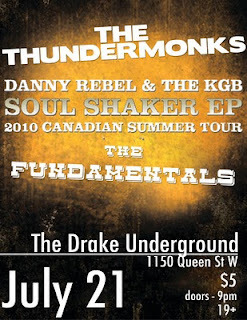 Thundermonks is a Toronto-based 7 piece band, which is complied of young 90's born members. To be honest, I have received a couple of review requests from other bands, but none of them seemed interesting or unique. It was all same old, same old. 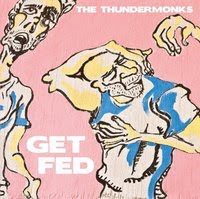 However, when I listen to the Thundermonks song, “Good Time”; it just gets stuck in my head and I find myself humming the song. So I decided to contact one of the band members. What I was really impressed about this band is that, despite the age, their music sounds very mature and skillful. They have a new debut album, “Get Fed”, which is available on iTunes. Luckily enough, I was able to listen to all the songs from the album. This album starts off with very up-tempo songs, such as “Earnest”, and “Good Time”, whose chorus are so catchy that you will remember the tune from the first time listening to the songs. 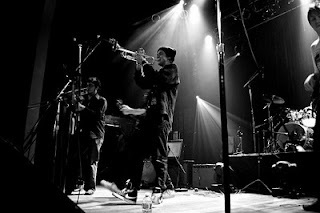 The third song - “Doctor” - brings a new element to the album – a ska and hip hop blend, showing that this band is capable of going beyond the one genre. After bringing back the momentum and intensity of the first few tracks with their forth song; “Streetlight”, the album transforms into a different phase with the fifth song, “East”. This song leans more toward an R& B/Jazz feeling. They finish the album with a down-tempo song, the aptly titled “Change in Weather”. Not only does this band seamlessly integrate elements of different genres, but also the order of songs is amazingly done. I love how it starts and ends; - it’s like a full course-meal, which is profoundly thought through from the beginning to the end. It is very exciting to see that young musicians like the Thundermonks could have accomplished an album of this level with their debut.